The Constitution provides that the regulation of interstate commerce is the province of the federal government. In the Natural Gas Act, Congress delegated the determination of whether interstate pipeline projects were in the public convenience and necessity to the Federal Power Commission, now the Federal Energy Regulatory Commission. 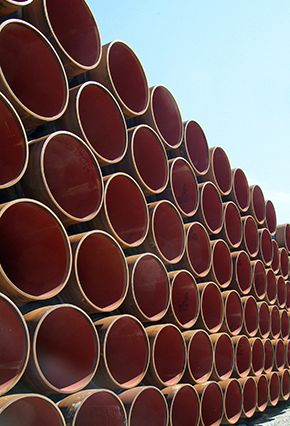 Since the earliest days of regulation, the Commission has grappled with opposition to proposed pipeline construction, while relying on private contracts to demonstrate market demand for a new pipeline project. Although the details of exactly how the Commission ultimately determines whether a project can proceed have changed over time, the Commission has continued to rely on private contracts. The Commission’s policy has now evolved to the point that the financial risk of a project is placed on the investors in the pipeline project. The Commission’s environmental review of a project proceeds on a parallel track, and can result in significant route changes and environmental mitigation conditions, reducing the environmental impacts of a project. However, the Commission continues to rely on the existence of contracts for use of the pipeline as the best evidence of market demand. Van Ness Feldman partners Bob Christin, Paul Korman, and Michael Pincus were published in the most recent edition of the Energy Law Journal. Click here to view the entire article.